Drivers will no longer need to show their insurance certificate when taxing a vehicle, under DVLA rule changes that come into force today. Instead, the DVLA will use a central database to check a vehicle's insurance status and send an automatic reminder letter to owners of uninsured vehicles. Drivers who choose to ignore the reminders will receive a fixed penalty notice of £100, followed by enforcement action – wheelclamping, impounding - and ultimately prosecution by the courts, with a maximum fine of £1000. 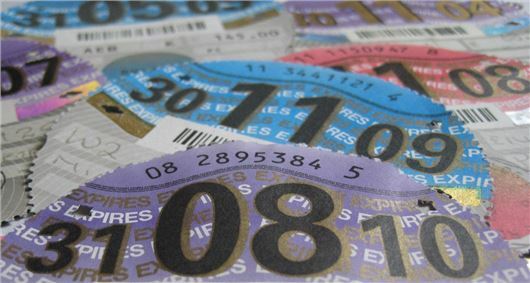 The DVLA changes – which will also see the scrapping of the paper tax disc – have been introduced by Roads Minister Robert Goodwill as part of a package of measures to get rid of unnecessary red tape. Goodwill has also changed SORN rules, with motorists required to tell the DVLA just once when they declare their vehicle off the road. Currently, motorists who make a Statutory Off Road Notification (SORN) have to renew it every year. “We want to make it as easy as possible for motorists to access government services,” said Roads Minister, Robert Goodwill. Does this apply if I obtain my tax disc from the Post Office with the log book? I was told of this helpful change by my insurance company, but the DVLA website specifically states they are still required, despite being amended in Nov 13. Has anyone told the poor Post Office staff in the middle of the Christmas rush, when I want to tax a car on Friday morning?